This page covers some marques related to Marcos in some way. It'll cover the Adams brothers' Probes and the Costin Amigo initially. 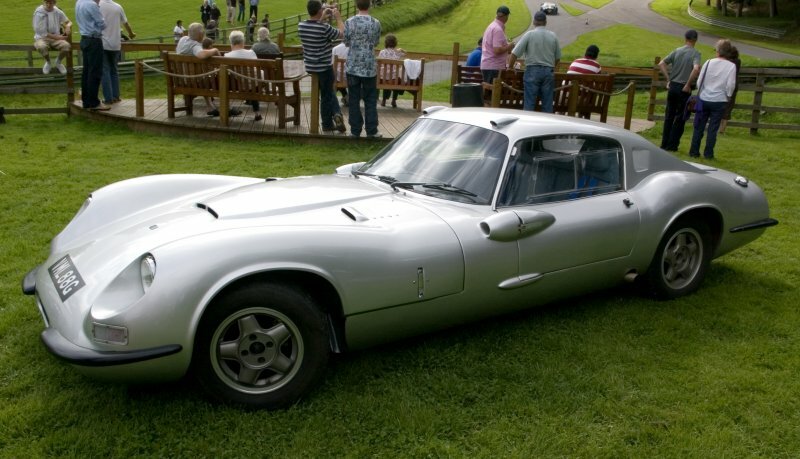 Alongside and following their work on the Marcos brand, Dennis and Peter Adams produced a number of 'Probe' cars. These caused a great stir with their ultra-futuristic, if not totally practical, styling. The Adams Design Probe Number 15 (More commonly known as the Probe 15) was initially a design study in 1969 and created significant interest. It was of ultra low build being only 29 inches high but was impractical. Access was through the sliding roof. 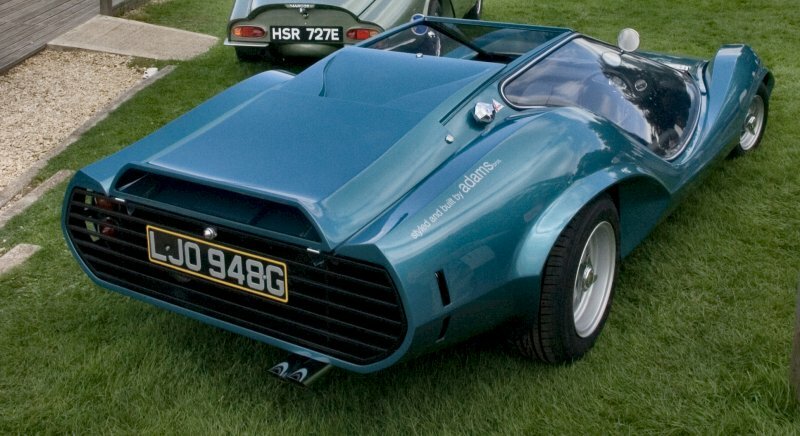 The 875cc engine and transmission were Hillman Imp based, but it was really not practical for production and only one was ever built (although it seems a second bodyshell was later modified to fit a VW Bettle floorpan). 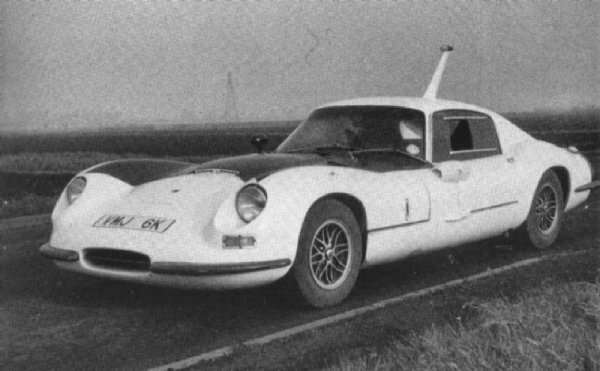 All the Probes continued the Marcos wood monocoque and GRP body construction. 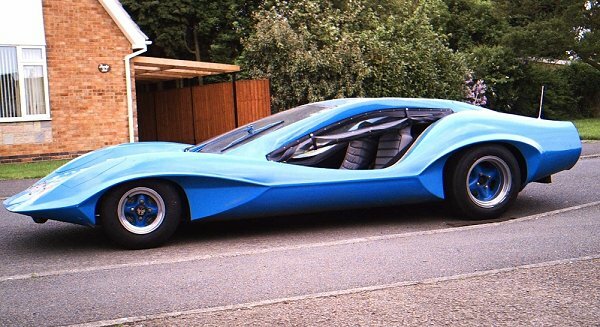 The Probe 16 was exhibited at the 1969 London Motor Show and was taller at 34 inches making it slightly more practical. It used an Austin 1800cc engine mounted amidships and access was now by an electrically operated sliding roof. 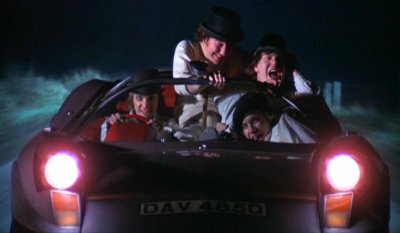 The Probe 16 is also famous at the Durango from cult film, A Clockwork Orange. 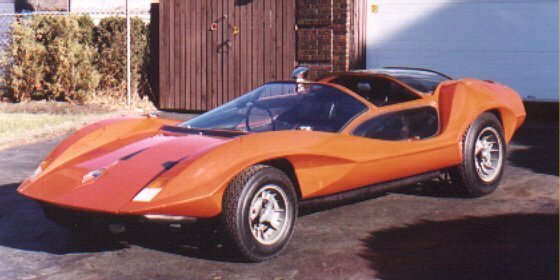 Only 4 (or 5...) cars were made (at �50 each - Almost �,000 in today's money) to this design before the 1970 Probe 2001 was announced. 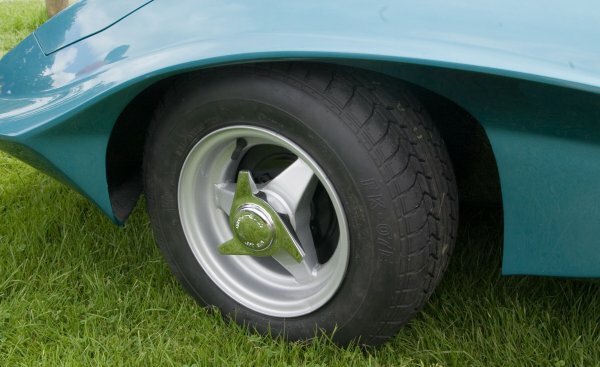 This model retained the Austin 1800cc engine but the height was again raised to 37 inches. 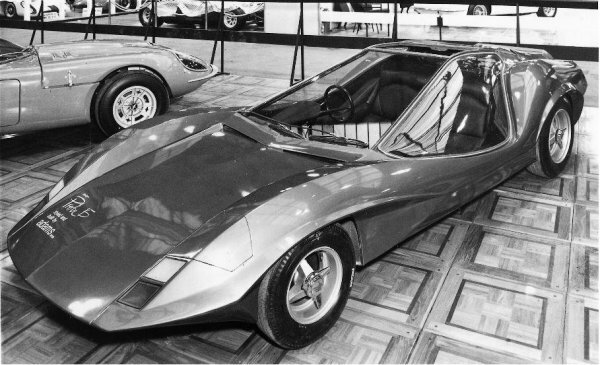 The body was revised and incorporated a roll-over cage and an aerodynamic rear spoiler. A total of about 20 Probes are believed to have been made before production ceased in 1972. 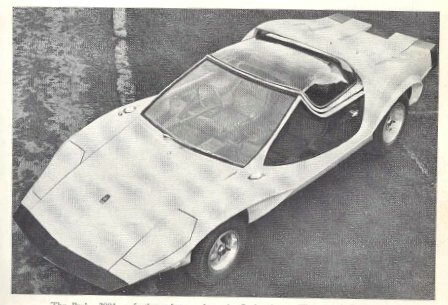 A Probe 7000 was shown as a mock up (looking not unlike a Scimitar GTE and supposedly to feature a 7 litre Oldsmobile engine), but none were made. 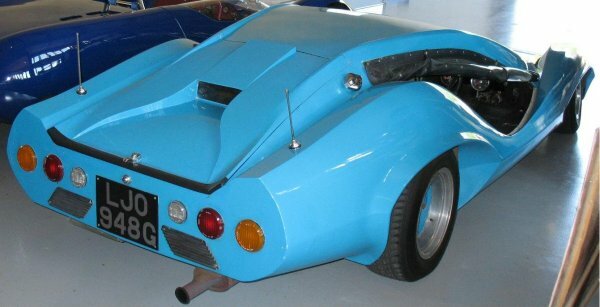 Goran Mitevski, from Switzerland, purchased the unique Probe 15 in a somewhat modified state (with a fixed roof and flexible, beach-buggy-like side panels for easier access), but was determined to return it to its original form. 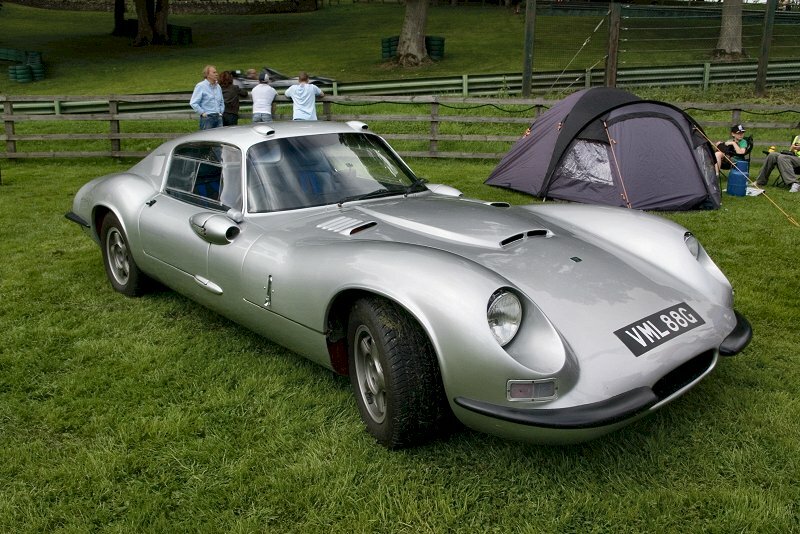 Using photographs from the period, including the Racing Car show shot above with the car on the Marcos stand, he and his fibreglass man diligently reformed the car to it's 1968 appearance and, albeit in non-running form, were present at the 50th Anniversary rally at Prescott Hillclimb. Frank Costin was greatly responsible for the design of the earliest Marcoses. Their unique aerodynamic shapes and wooden chassis were his ideas and, after he parted company with Jem Marsh, he retained these ideas and later designed the Costin Amigo. 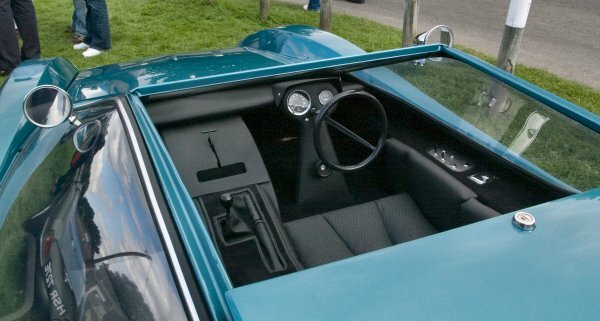 One unique feature of the Amigo was a 'Pylon' with a light on the top, which was mounted on the roof to alert oncoming drivers to the low slung car's presence. 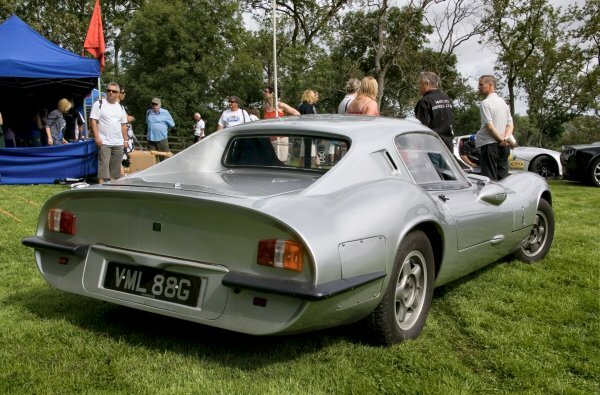 Aerodynamics were of utmost importance to Costin and, despite a modest Vauxhall VX4/90 2 litre engine, the Amigo was reported to be good for over 130MPH and 0-60 in the low 7 seconds. 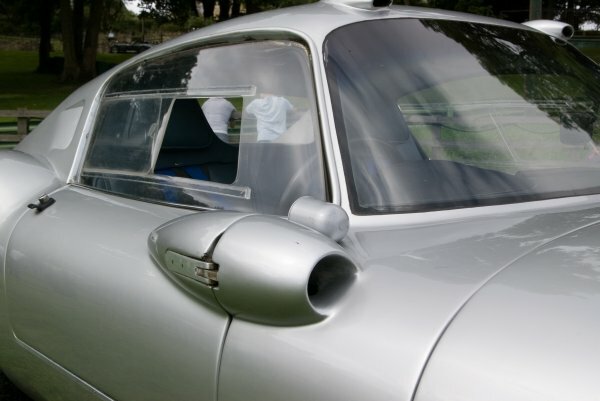 To achieve this, great attention was applied to drag, hence the highly sculpted air scoops for the cabin and fixed (flush) side windows with sliding panels for car parks and toll booths. 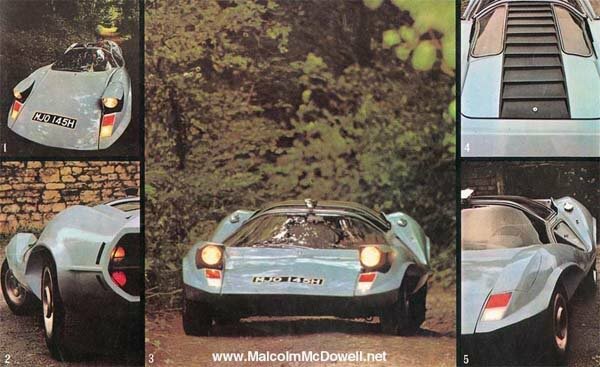 Only 8 cars were built, sadly as it was expensive (and for many) a little too quirky, but it is probably a good guide to the way Frank Costin would have taken Marcos design had he stayed involved with the marque.